Featuring an updated fit for added comfort, the Aero Short Sleeve Crewe is Icebreaker's ultralight merino tech tee perfect for warm-weather trail runs, extended hiking adventures or any other time you need lightweight comfort and maximum breathability. The Aero features 120gm tissue-weight fabric that blends soft, breathable and odor-resistant merino wool with a touch of nylon for added durability. 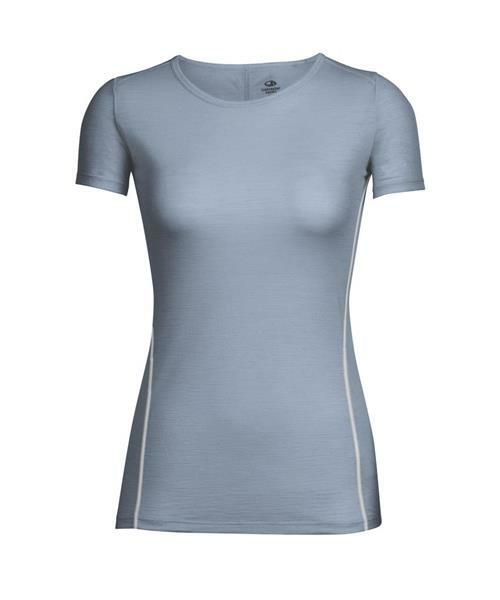 Flatlock stitching and forward side seams prevent chafing when you’re on the move and the scoop neck adds a feminine touch.